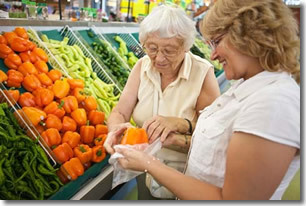 By the year 2020, the U.S. Census Bureau projects 60 Million Americans will be 62 or older. That's 20% of our neighborhoods, counties and states…a stunning fact! Sitters Etc Franchising elected to service the mid-size towns and counties across the USA first because of the growing demand for private care outside the metropolitan areas. Our Franchise program will be both affordable and scalable to encourage families. Sitters Etc Franchise Training ensures that each franchisee is able to meet the daily demands within their local market…whether non-medical or Alzheimers' care. At Sitters Etc, our Franchise Partners leverage 10 consecutive years of senior care knowledge and best practices. WE ARE NOT A STARTUP! Sitters Etc has employed over 300 Experienced Caregivers in the South East U.S. since 2003, providing the full range of services from staffing nursing homes to 24/7 in-home care. Our "4-Phase Training Program" will teach you how to RECRUIT the best, MOTIVATE your Caregivers, and RETAIN your talent. Founded in 2002 by Beau K. Brothers, Sitters Etc has experienced a tremendous 10-year run as a family owned non-medical care organization serving Tennessee and Arkansas. 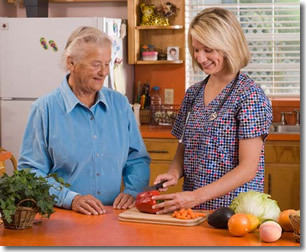 More personalized care plans, and a higher degree of screening before placing Caregivers at the client's homes. Sitters Etc. 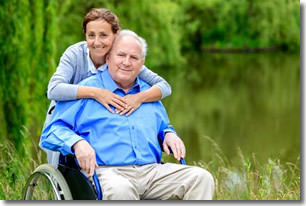 seeks franchise partners who are ready to develop their own territory, and provide a superior level of non-medical care to seniors, new moms, and patients in rehab or recovering from surgery. The best candidates are those with sales or marketing skills who enjoy making a difference in their local community, and are willing to commit resources to building a profitable business. We offer both a SINGLE TERRITORY and a "FAST START 4-TERRITORY PACKAGE" for those seeking a discount on franchise fees. Click on Request Information for FREE info on how to open a Sitters Etc. Franchising franchise today! Please Note: This Sitters Etc. Franchising, LLC franchise opportunity and other franchise business opportunities, businesses and franchises for sale on this web site are not to be considered as an "offering", "franchise offering", suggestion or recommendation by Franchise Leader™. This advertisement depends entirely on the truthfulness of the information provided by our advertisers which includes, but is not limited to, franchisers, franchise brokers, franchise consultants and business brokers. Franchise Leader™ recommends that you consult a lawyer, financial consultant, accountant or professional advisor before buying a franchise or business opportunity or any type of business. By using this form or any part of our website, you have agreed to all terms and conditions of Franchise Leader™. Please review our Terms & Conditions for more information.